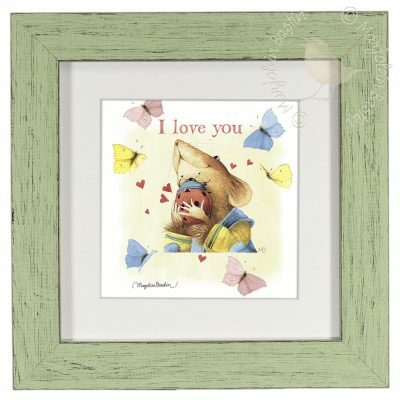 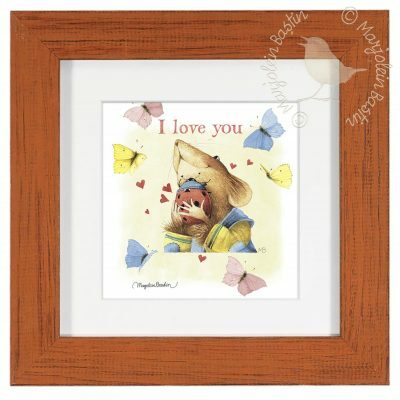 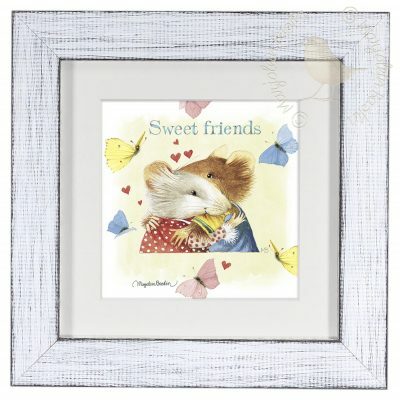 A timeless framed presentation perfect for Marjolein’s beautiful and whimsical watercolor art. 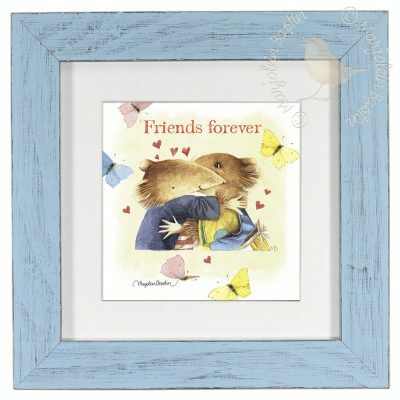 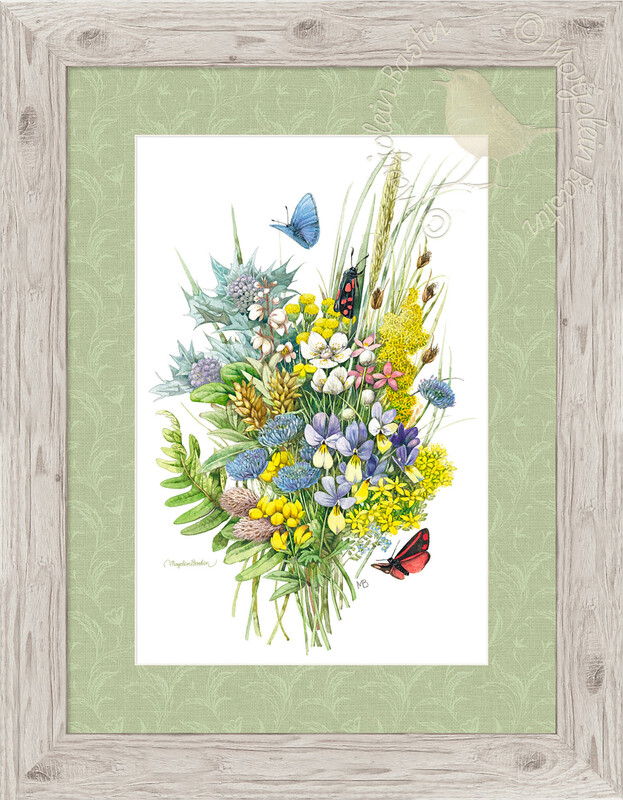 Marjolein Bastin’s framed prints are more than what you might expect from the name. Each piece is printed and crafted with care and made individually to your order using only the best hardwood mouldings specifically designed to complement Marjolein’s masterful watercolor palette. 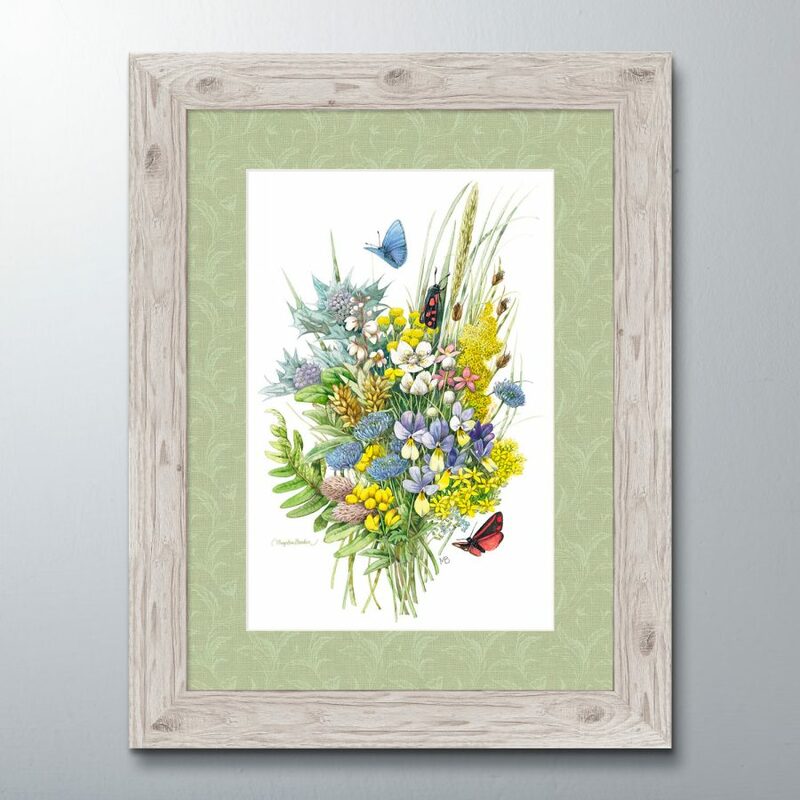 We use only shatter resistant Plexiglas for safety and durability, then professionally finish the piece with craft paper, felt bumpers and secure hangers. The completed piece is something we are very proud to present and hope you will enjoy them in your home for years to come.